Brown beef in a skillet; drain off fat. Add onions, taco sauce, tomato sauce and water; mix thoroughly and simmer 10 minutes. Adjust seasoning with salt and pepper. Assemble salads: spread 2/3 cup corn chips on individual plates. Arrange meat mixture, lettuce, cheese, tomatoes, avocado and olives over chips. Garnish with a dollop of sour cream. 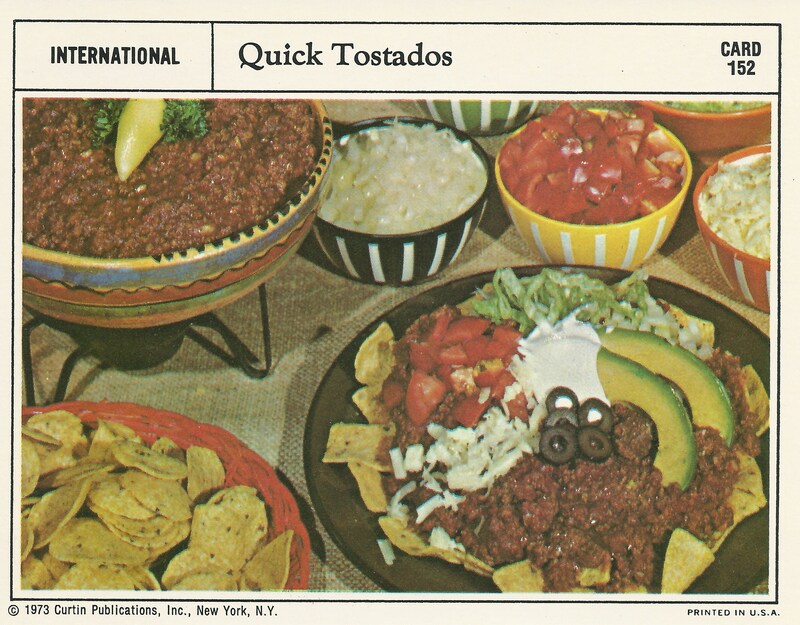 NOTE: Just for fun, place ingredients in separate dishes and let each person assemble his own tostado. Yum! Some things never change!